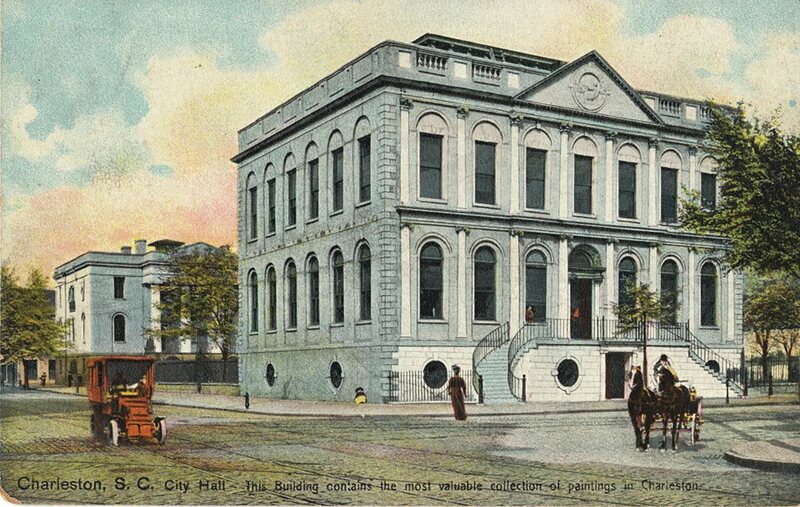 Charleston’s City Hall was constructed between 1800-1804 in architect Gabriel Manigault’s Adamesque style. In a couple of weeks, Charleston will choose a new mayor for the first time in forty years. Over the years since its incorporation in 1783, Charleston has elected only 60 mayors (or intendants as they used to be called). We thought it’d be interesting to see where a few of the last century’s noteworthy mayors called home. Have a look! During Rhett’s tenure as Charleston’s 50th mayor (1903-1911), he was responsible for the establishment of the Board of Public Works and construction of new police and fire stations. Rhett also played an instrumental role in the building of the new Roper Hospital, Union Station, the Julian Mitchell School as well as Charleston’s first skyscraper, the People's Building. Among his accomplishments as mayor was the ‘Boulevard Project’--filling in the low marsh along the southwest edge of the peninsula--the area that is now bounded by Murray Boulevard. (More on this feat next week!) Rhett’s obituary noted that he was famous for his hospitality in his home at 116 Broad Street. His most prominent guest was President William Howard Taft, for whom it is said that She Crab Soup was first created for (by Rhett’s butler--ahem--William Deas). Thought to have been built for John Rutledge ca. 1763, 116 Broad Street was renovated in the Italianate style ca. 1853; the ornamental ironwork was added at the same time. The property is now a bed and breakfast called the John Rutledge House Inn. 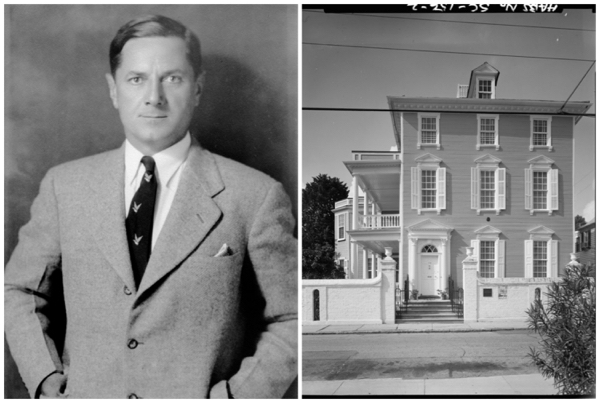 John P. Grace (photo: College of Charleston Irish and Irish American Studies) and his home at 174 Broad Street (photo: Jason Annan and Pamela Gabriel, The Great Cooper River Bridge). 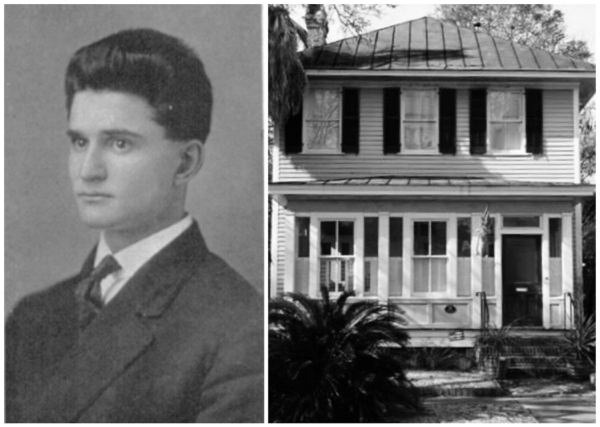 John P. Grace served two terms (1911-1915 & 1919-1923) as Charleston’s first Irish-American and Catholic mayor. He was considered an upstart in Charleston politics, garnering votes from the working class Irish and German citizens and going against Charleston’s old guard. Mayor Grace is credited for modernizing Charleston by paving city streets, providing clean water, and upgrading sanitation. As a boy, Grace helped support his family by carrying milk deliveries from a cow that his mother kept. Ironically, one of Grace's accomplishments was the outlawing of cows in the city for sanitary reasons. (Sorry, Mom!) He also promoted tourism--he was credited for providing city land for the Fort Sumter Hotel and helping with the construction of the Francis Marion Hotel. His greatest accomplishment was realized after he left the mayor’s office: the great, giant, roller-coaster of a bridge that carried his name. Charleston’s first bridge to span the Cooper River opened in 1929 to throngs of people singing “John P. Grace, Champion of the Poor.” Grace lived at 174 Broad Street. This spacious Charleston single house at Broad and Franklin Streets was constructed circa 1880. Charleston’s 53rd mayor (1923-1931) was the youngest mayor in the city’s history. Dynamic and likable, 34-year old Stoney was from one of Charleston’s oldest families and garnered wide appeal. As Charleston’s economy tanked after the post-war prosperity came to a close, Stoney and the Chamber of Commerce worked to develop Charleston’s burgeoning tourism industry. After adopting the tagline “America’s Oldest City,” by the late 1920s, tourism had become Charleston’s largest industry with 47,000 visitors annually. Stoney also worked with the Society for the Preservation of Old Dwellings (now the Preservation Society of Charleston) to enact a zoning ordinance to protect the city’s historic district and establish the Board of Architectural Review for oversight. The successful preservation plan was the first of its kind and would become a model for subsequent preservation efforts across the country. Unlike Charleston’s other mayor, however, Stoney chose not to live in the historic district. In the up-and-coming neighborhood Hampton Park Terrace, 3 Sutherland Avenue was built for Stoney and his wife in 1915. 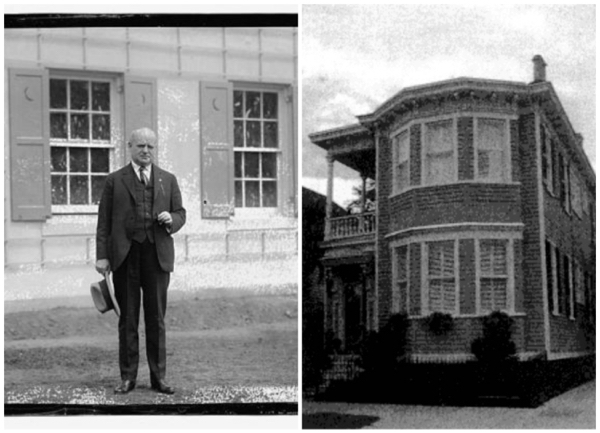 In 1929, they moved around the corner to the large house at 573 Huger Street, which is now used by The Citadel. 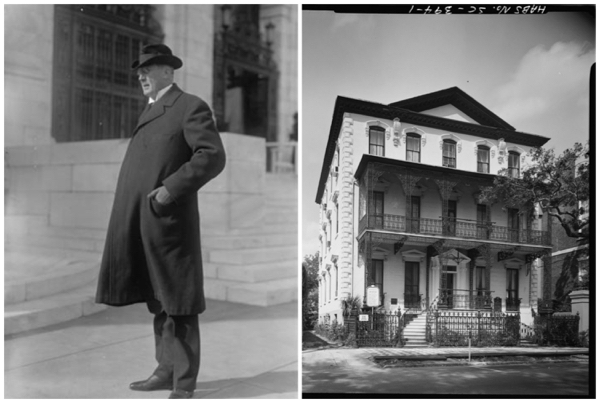 In 1931, one of South Carolina’s most successful politicians was elected Mayor of Charleston and served until 1938. He had such a deep brogue that many found it difficult to understand him. As mayor, Burnet Rhett Maybank balanced the budget during the Great Depression and took advantage of federal financing under FDR’s administration for slum clearance, construction of public housing and other infrastructure, and support for unemployment payments. He is credited with getting grants for civic improvements including the restoration of the historic Dock Street Theatre and improvements to the city docks. One of his biggest accomplishments was the initiation of the Azalea Festival. Begun in 1934 as Charleston’s answer to New Orleans’ Mardi Gras, the Azalea Festival consisted of parades, lancing tournaments, boxing matches, air shows, water shows, and pageants. In 1938, Vice-President John Garner and 200 congressmen (including then Senator Harry Truman) attended via private railcars from Washington, DC. The highlight of the festival was always the crowning of the Azalea Queen, selected during a beauty pageant of queens from across the state, and the Coronation Ball. The last Azalea Festival was held in 1953 but we were wondering...is there any way to bring it back? 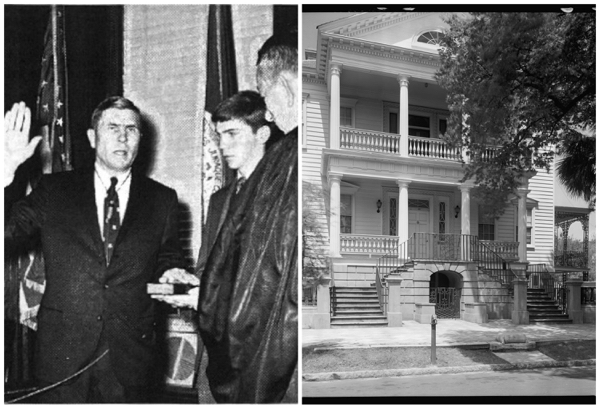 As a US senator in 1950, Maybank sold his circa 1772 house at 104-106 Tradd Street, known as the Colonel John Stuart House, because he thought it wasn’t fair for one of the city’s oldest homes to be shut up 11 months out of the year while he was in DC. We agree! The last man Charleston called Mayor prior to the current official was J. Palmer Gaillard, whose grandfather had been mayor of Charleston almost a hundred years before. Ask anyone who was around back then and they’ll tell you how much Charleston loved their 58th mayor--who just happens to be John Payne’s sixth cousin (lovability must run in the family!). In 1959, he was elected mayor and was re-elected three times, serving until 1975. Gaillard’s greatest accomplishment as mayor was more than tripling the size of the city. From 1849 to 1959, the city boundaries remained the same, but from 1959 to 1969, Charleston grew from five to eighteen square miles through mergers and annexations of land west of the Ashley. The civil rights movement during Gaillard’s tenure ended legal segregation but unlike much of the South where federal efforts were necessary to integrate schools, Charleston’s school were desegregated quietly and peacefully. In 1970, Charleston celebrated the Tricentennial of its founding and one of the most celebrated events was the production of Charleston’s own Porgy and Bess for the first time, in the Municipal Auditorium that would later be dedicated to the people’s mayor. Gaillard was such a nice guy that since she shared his birthday, Gaillard sent our Ruthie Smythe a birthday card every year for most of her life. What a guy, right? For a short period of time in the 1950s, Gaillard lived in his ancestral home at 60 Montagu Street. This circa 1800 “mansion” is one of the most spectacular homes in Harleston Village, and has been featured in the Preservation Society of Charleston’s Fall Tour of Homes. This home is currently listed on the market for $12,950,000, so if anyone is interested in buying this gorgeous property, Lois, Ruthie, or John would be glad to take your call!